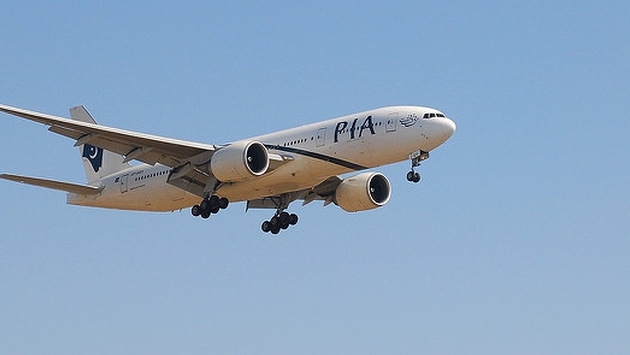 Pakistan International Airlines (PIA) is under investigation after allowing at least seven people to stand in the aisle of an overbooked flight last month. The unfathomable incident happened on a three-hour flight between Karachi, Pakistan, and Medina, Saudi Arabia, on Jan. 20, according to a report in London’s The Independent newspaper. According to some reports, there were 416 passengers and perhaps as many as 419 on a Boeing 777 aircraft that can seat 409 including the jump seats. The additional seven to 10 passengers stood for the entire three hours – dangerous as it is for numerous reasons, including turbulence, access to the aisle, and only enough oxygen masks in case of emergency for seated passengers, among other transgressions. According to The Independent, flight attendants issued the extra passengers handwritten boarding passes instead of the standard computer-generated passes. PIA spokesman Danyan Gilani confirmed the incident was being investigated. The Karachi-based English-language paper Dawn reported there are some discrepancies in how the issue developed. Senior purser Hina Turab, said she told the captain the cabin was full but the captain told her to adjust the extra passengers, as the aircraft was on the taxiway. Capt. Anwer Adil maintains that the computer-generated sheet did not show excess passengers. PIA said it did not know how long an inquiry would take. The airline is coming off an incident in December in which all 48 people aboard a PIA flight died when the aircraft crashed near Abbottabad.